A car this hot is screaming out for a cool set of wheels. We think D2Forged has done the business. 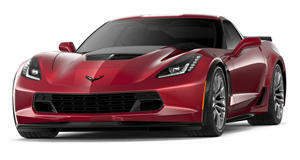 As GM concentrates on a new generation Corvette, the current model continues to receive plenty of attention from the tuning world. The latest company to bestow the track-focused Vette with a new set of rims is D2Forged Wheels. Here, the Z06 is sitting on a set of 20-inch MB1 wheels with black spokes, a titanium flange strip, and a hand-painted center cap featuring the D2 emblem finished in red. It may not be the top news item of the week, but it sure does look hot.